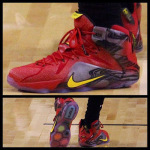 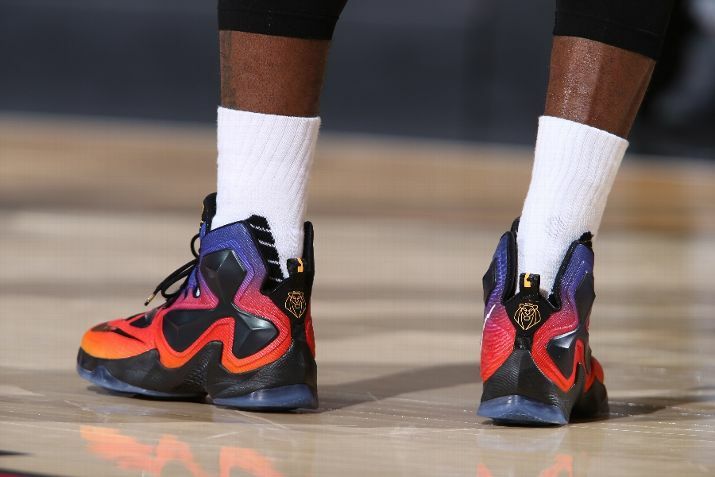 This is the "Space Race" LeBron James Shoe You’re Looking For! 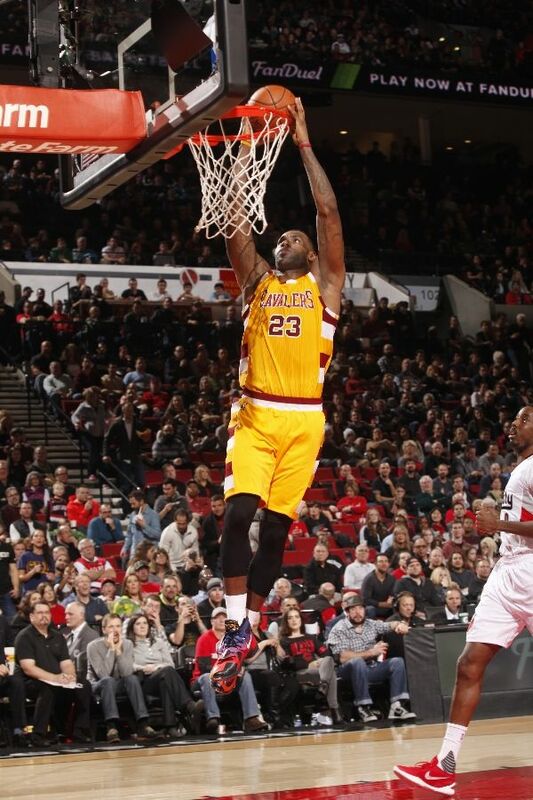 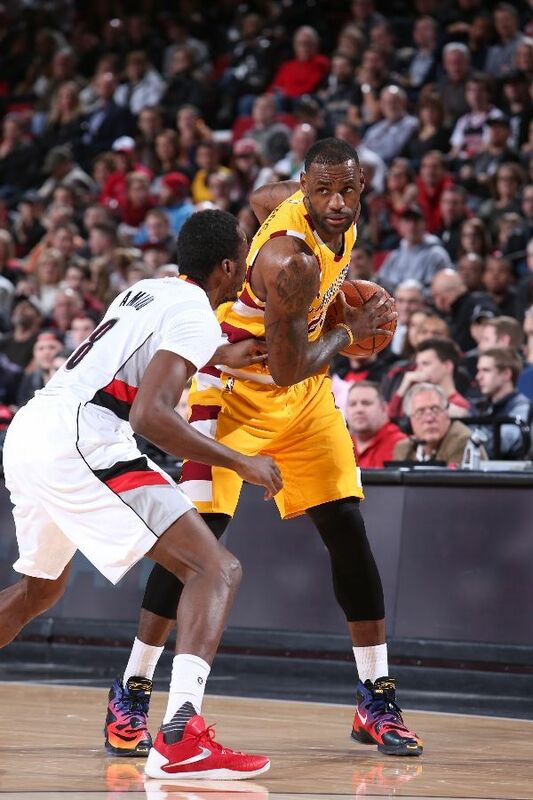 On Saturday night, the Portland Trail Blazers battered the Cleveland Cavaliers for a full 48 minutes Saturday, 105-76. The Cavs were without Kyrie Irving and playing for the second time in as many nights, but the rebuilding Trail Blazers were without Damian Lillard. It was a stunning, one-sided affair and Portland (12-20) refused to let up. 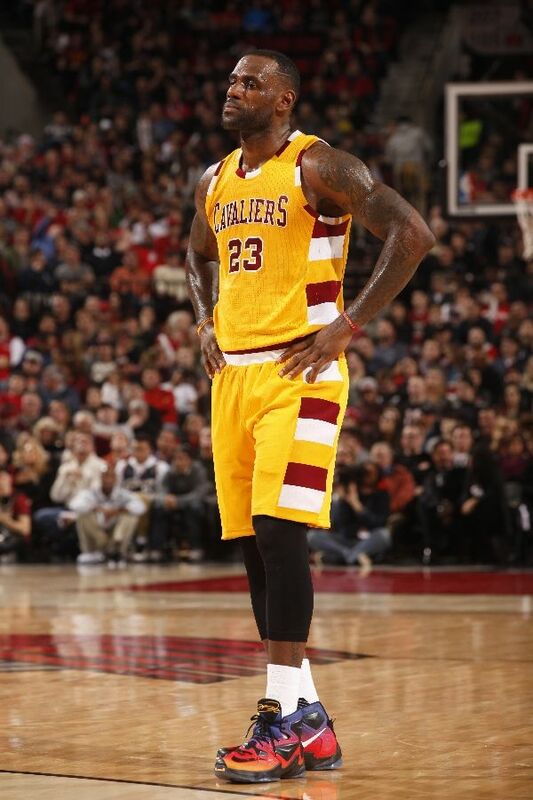 LeBron James played only 27 minutes, matched his season low with 12 points and had a plus/minus of -29, before David Blatt decided to pull the plug. 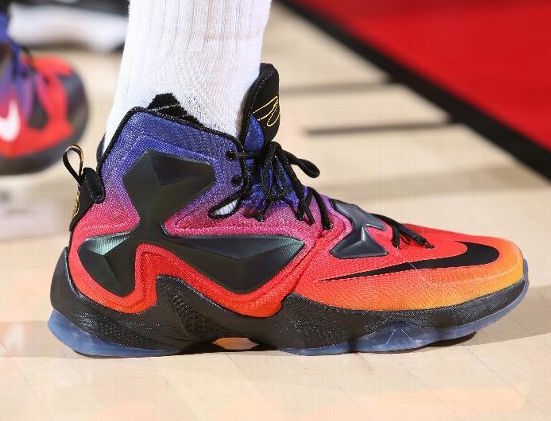 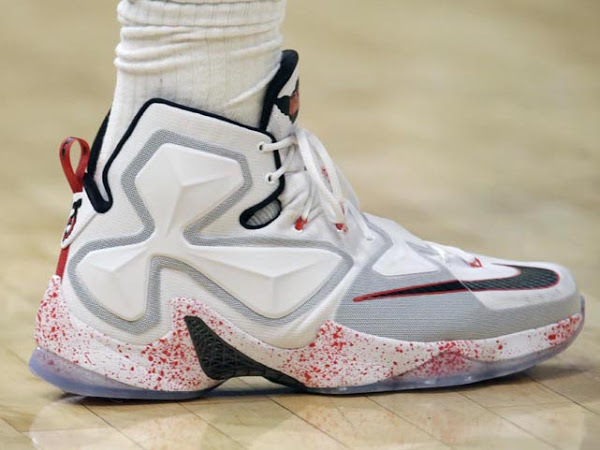 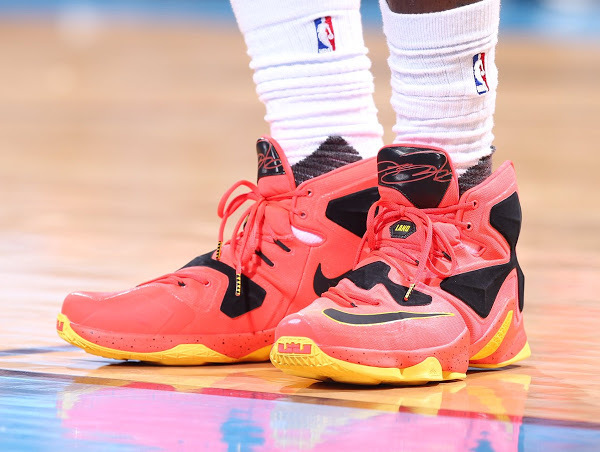 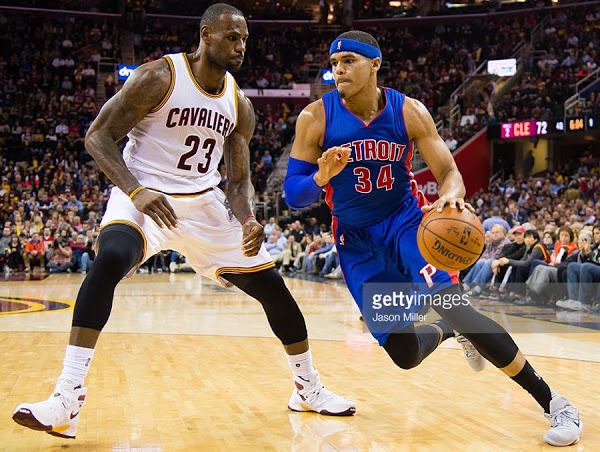 The King debuted a new pair of shoes and laced up the limited Doernbecher colorway of the Nike LeBron 13 that was released back in November. 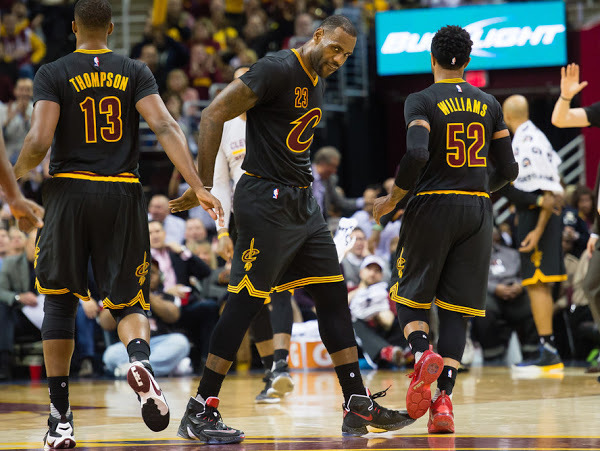 That was probably the only positive thing from the game.